In this post I'm going to be covering all of the Quests in the Witcher 3 with video walkthroughs for each. As you may already know, the Witcher 3 is an open world game with dozens upon dozens of side quests. The main story alone will take around 50 hours to complete but total completion for every Quest is estimated at around the 100 hour mark. Since the Witcher 3 is so vast and some quests so complex in nature, you're bound to get stuck at some point. This guide will help you through those difficult moments so make a quick bookmark and come back as I walk you through every quest in detail. Note: This is a work in progress and will be continually updated. 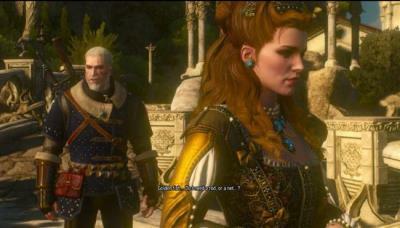 The Witcher 3 is tightly focused on the storyline for three main characters: Geralt, Ciri and Yennefer. In total there are 8-10 main quests with each having several sub-branching quests or tasks. The main quests dig deeper into the characters story, leading you ever closer to the final ending as you chase down Ciri. There are 36 different endings in the Witcher 3, and every decision you make will take you close to one of them. Every quest comes with a recommended level, which gives you some idea how difficult the quest will be before you attempt it. The Witcher 3 is not like your ordinary RPG either because some very high level quests may become available even if you're still at the lower levels. The maximum quest level is 50, whilst Geralt himself can reach level 60 without the expansions. The Notice Board is a great place to pick up new Secondary Quests but not every quest is handed out that way - in fact almost every main quest starts from an interaction with a character or the exploration of a new area on the map. The smaller sub quests feed little trinkets of information to Geralt, helping him better understand his objective which is especially true in the case of prey. This detective like exploration provokes a hunter instinct as you close in on your goals throughout the game. 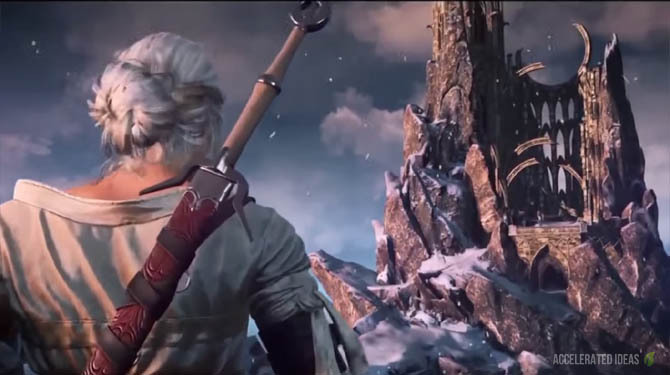 In addition to main quests, the side quests have been carefully designed by CD Projekt Red so they're intricately connected to the main quests, giving you the option to extend your adventure whenever you choose to. This is particularly rewarding if you find a certain town or character interesting and would like to enjoy more of the same. But you should remember that choosing to ignore some side quests can negatively impact your main Quest line, making life more difficult further down the line. Below you will find a list of all the quests, with links to the appropriate text and YouTube walkthrough. If my walkthrough isn't ready in time I'll happily link to others so just leave a comment. Learn the basics of combat in the safe haven of Kaer Morhen - a recommended step to learn the importance of blocking, dodging and using Signs. 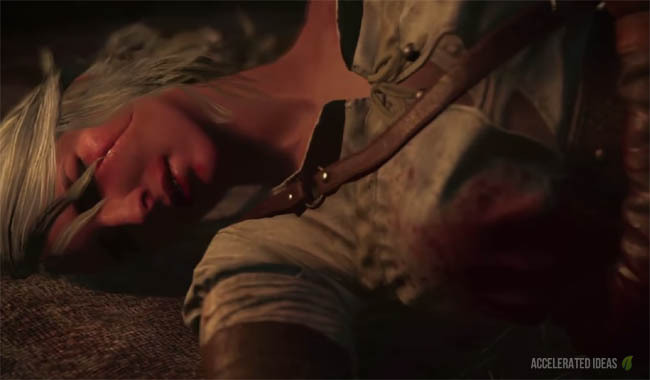 You'll also learn about Ciri's childhood through flashbacks, setting up the scene for the Witcher 3 story. Since this Quests is a tutorial I won't cover it in detail here. A nice simple Quest that introduces you to some real combat vs Ghouls and horse riding to a local Inn. Again, there's little to cover in this quest so I won't go into detail here. Your first real test in the Witcher 3, The Beast of White Orchard is a detailed quest with a lovely Griffin fight at the end. The Giffin can be a tricky monster so read the tutorial to find out how to defeat this monster. While preparing to leave White Orchard Geralt gets involved with a group of bandits in his first human fight. Simply keep your distance and pick them off one by one. You'll be rewarded with 300 XP and one of the story's main characters, Yennefer, makes her first appearance before leading you off to Nilfgaard via a cutscene. Geralt takes a welcomed bath before dressing up like a ponce for his Imperial meeting. Players can choose the outfit they prefer before being escorted through the Royal Palace of Vizima to meet the emperor. This is a short quest but it paves the way for your adventures in Velen (No Man's Land). Geralt heads to the Inn at the Crossroads to find the location of Hendrik - the agent tracking Ciri. Not much remains, but clues point Geralt in the direction of the barron. Track down the location of a local Witch by the name of Keira Metz. Note: Includes semi-naked scenes. Follow Keira Metz deep underground as you look for clues about Ciri's whereabouts. Along the way you encounter the Wild Hunt for the first time and fight your way through Spectres, a Golem and a mini-boss called Nithral - a warrior of the Wild Hunt. Numerous new characters make their appearance in this quest including Gran, Johnny and the three ugly witches. An introduction to the baron and looking for clues to the whereabouts of his wife and daughter. Find the grave and resurrect Dea. This quest also contains Ciri: The Race - a playable quest for Ciri. Your first introduction to the metropolitan city of Novigrad and red haired Triss. Wake the dreamer from the spell and learn about Dandelion. Speak to Zoltan and learn more about Dandelion's past lovers. Track down Whoreson Junior at his hideout. Find the captain of a ship to the Skellige Islands and earn 1000 coins to pay for the trip. An introduction to the local's of Skellige Island, bear fights and even a romance scene with Yennefer should you chose it. Help Yennefer and use the mask of Uroboros to view the past and learn about Ciri's fight with the Wild Hunt. Track down the location of a werewolf and interrogate Craven to learn more about Ciri. Relax at the local sauna, then fight off the Wild Hunt in this playable quest for Ciri. Research different Alchemy concoctions to make more powerful bombs, oils and potions. Treasure hunts are a great way to earn loot and new diagrams. Of particular interest are the school quests for earning Viper, Griffin, Cat and Bear diagrams - helping you craft some of the best armor in the game. Starting from the prologue area of White Orchard this quest is the perfect starter. Available once you reach Velen, this quest will reward you with a complete set of Griffin swords and armour. Complete this quest for a full set of Cat school swords and armour (Feline set). The strongest armour and the most powerful weapons are on offer in this quest which takes you on a scavenger hunt to the Skellige Islands. Hunt and destroy the Noonwraith in White Orchard. Investigate an area where Drowners were spotted.